Comfort: Extremely comfortable and light. Took a week for the top to break in, then felt great the life of the shoe. The PoliYou insole and EVA foam rubber outsole seem to be very effective. Breathability: Best I have ever worn! They are made of TYVEK paper by DuPont (1082D), that same stuff they use to wrap houses in before they put on siding. Air can move freely though it, but it is waterproof and tear proof. 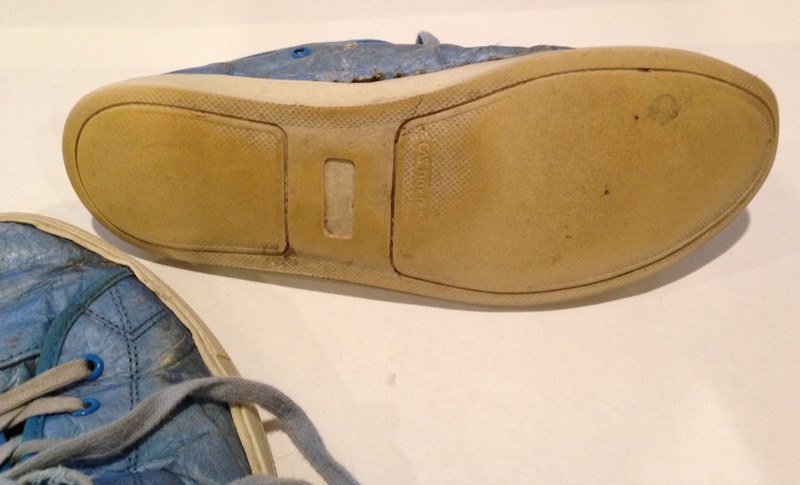 I also notice much less food sweating on the bottoms of my feet, due to the PoliYou insole. Weight: Very light. Lightest shoes I have owned. Environment: Company claims it used only a fraction of the resources and materials to make a pair of there shoes vs traditional shoes. They are also recyclable. Ethics: Not sure, company claims they pay fair, but no 3rd party review or details at all. Longevity: Shockingly good. They feel so light and paper like I assumed they would not hold up. But they did very well! These are still going after two years in the weekly cycle, and just now are showing wear at the seams. Style: Good. The bright color always got a lot of attention, good or bad. They come off as a less serious shoe style wise, putting them in the casual area. New they looked smoother and not so wrinkled. They are easy to clean too, they have been through the washer a few times with no issues. Best for: Great walking, city, beach or vacation shoe. Because they are so light and easy to clean, they are a great shoe to pack to take on a trip. I have gone hiking with them in a pinch and they did good. The bottom is fairly smooth and simple, so not a lot of traction, but they are slip resistant in water, so that’s handy. Because they are so breathable, they are cold in the winter, but perfect for summer or inside use in the winter. Interesting features: Insanely light! The materials make the shoe, Tyvek, PoliYou, and EVA foam rubber make it feel like you are wearing a shoe from the future. The company is also interesting as it launched via Kickstarter. Comments: I really like these shoes. My only real complaints about these shoes are that they are made in China. The company is based out of china. If they were made fair trade, or the company had more open records or 3rd party working condition reviews I would feel much better. 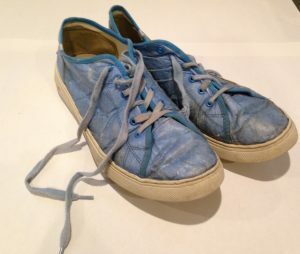 I thought at first the Tyvek material was mainly what made the shoes unique. 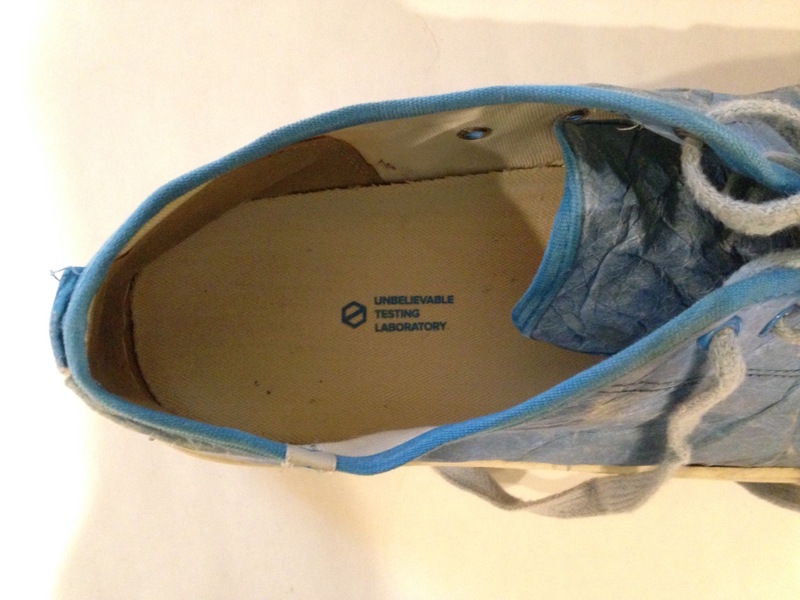 So I bought a pair of Tyvek shoes from a much cheaper competitor, Unstitched Utilities. I still liked them, but they were at least twice as heavy and not as comfortable and I noticed my feet sweat on the bottom even with great airflow on the tops. This lead me to conclude the PoliYou insole and light EVA outsole are why these shoes felt so nice. To test this, bought a second pair from theUT.Lab, but with a microfiber upper. So far they seem very comfortable. More on that in another shoe diary.